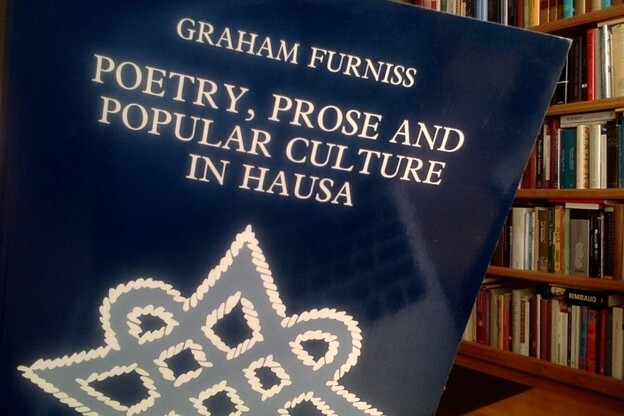 Bibliography: Poetry, Prose and Popular Culture in Hausa, Graham Furniss (Smithsonian, 1996), pages 76–7. I have always speculated this might make a nice class exercise: "Say anything at all, no rhythm/no nothing, just lay about freely with an Indiana-Jones bullwhip, making sure the sense jumps around nimbly and quickly. Throw down a bunch of commands." The question arises: "Yeah but how much of that kind of thing can a reader actually tolerate?" Answer: Any amount, provided the poet can manage to exclude inert materials from the presentation. Look at contemporary American poet Abraham Smith. He's probably the closest thing we have to the style of the piece below. Hank (Action Books, 2010) was 129 pages, and I gobbled it in one sitting. † Leacock reference pilfered from David West's introduction to his translation of Horace. I am of the sorceress Ramlatu! Ramlatu, you are prettier than other women! The character of women is better than yours! I am the black fire that consumes books! I am an unbelieving dog, only a chain! I am the gathering water of Yadizu! Excuse me, O djinns, greetings O fire! Pagans, here is your lord, he who was not here has returned! If the chain doesn't work, try bark! He will awaken you in the afterlife! Boy, move back! move back! *Edward L. Powe, "Hausa combat literature: an exposition, analysis and interpretation of its form, content and effect," Ph.D. thesis, University of Washington, Madison: 1984.